I hit the road again for another fun filled night of great music and fantastic friends this time ending up in Nashville at The High Watt. This wasn’t a normal night at a random show as there were some of my best friends from St Louis and all over TN there for the evening which means i’m sorry for anyone around us be we were singing loudly and enthusiastically. Starting off the night were the Heathen Sons who’ve been written up here before by our own Wolf and to say they didn’t disappoint would be an understatement. I’d given a few listens to their EP and while I liked it it hadn’t stuck out for me yet. This happens more than I’d like to admit and is one of the many reasons why I try not to miss an opener to any show if possible. You’ll never know the music that grabs you until you hear it live. This band is one of those for me while I enjoyed the record the live performance was just full of very different energy that myself and seemingly the rest of the crowd enjoyed. It’s slightly indie while still definitely southern and past that i’d just call it good. Basically check these guys out if they’re close to your town. Just over two years ago Lucero played two nights in Nashville and on the first night I elbowed a kid in the head that turned out to be Todd Farrell Jr. which was the beginning of a helluva night. When I sobered up I remembered to check out Todd’s band and was very happy that I did as the then current release of Where Fake Cowboys Go to Drink has some great songs on it. After that background up next was Benchmarks formerly known as Todd Farrell Jr and the Dirty Birds which while not a bad name did not accurately represent what the band is doing today so they changed it. 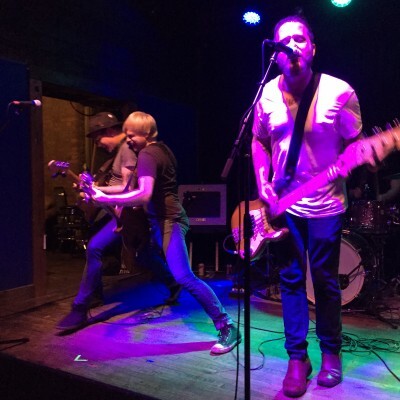 In the best way possible there’s no easy way to categorize this band as they’re at their core a great rock band who also pull in some country and punk sensibility while never committing fully to either of the typical interpretations of those genres. So I’ve seen Todd Farrell and the Dirty Birds before at their last CD release and that gave me high hopes for what i’d see this night. I was not disappointed as the band ripped through the most recent American Nights EP as well as some tracks from the previous two release and requests. By their own admission the band hadn’t played together in some time as Todd had been out on the road with Two Cow Garage and everyone else had other obligations but couldn’t hear that from the audience. The set closed with Pawnshops when even Todd had to acknowledge our awful but very enthusiastic singing. I’m not sure when or where you’ll be able to see this band but if/when Benchmarks or Todd solo comes close to your town it is a show not to miss and in the meantime pickup the EP and the previous releases. 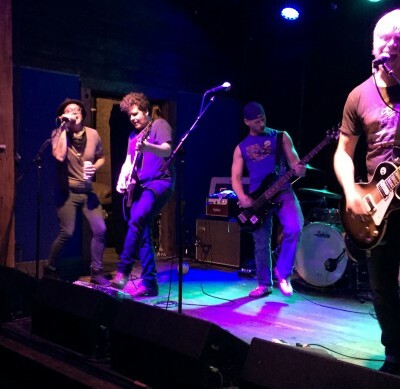 Next up is Two Cow Garage who I first discovered when Please Turn the Gas Back On was reviewed on this very site and from then on has been one of if not my favorite band. I’ve seen them countless times over the years at shows that have evolved from me and the band to 20ish diehard fans to today when they’re able to draw sustainable crowds. It’s always hard to talk about Two Cow and Charles Hale did a better job than I ever could breaking down their style, progression and songwriting here so read that if you want some deeper insight into the band. I will say that I think we’ll need to add a new volume to that talking about what Todd is bringing to the band today. On this night the crowd was mixed with people who were obviously there for the first two bands but still curious about Two Cow and then a section of long term fans myself included who were somewhat vocal. 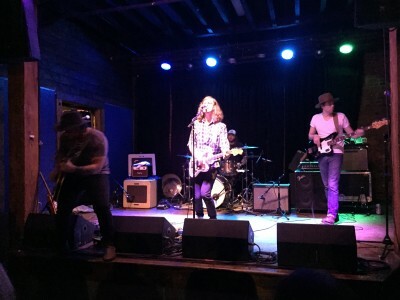 Two Cow ran through highlights from most of their catalog not really leaning to one record or another but including the current single Let the Boys Be the Girls and the upcoming Continental Distance. To the folks that have not see Two Cow recently or at all the band is elevated with the addition of Todd Farrell Jr. who to my seasoned but uneducated ears fills out the songs in general and replaces some of the keyboards from the records. I never write setlists or take notes but on this night I took three notes which consisted of this: the 4 way harmonies are amazing and really add something to multiple songs then the unbelievably quiet crowd during Shoulda California and Swingset Assassin which is worth noting as it demonstrates how much people were enthralled by this performance. I always say that i’ll never see a better Two Cow show than what I see in Little Rock at The White Water Tavern but this show has me starting to think that may not be the case. It’s hard to beat a night with great friends and fantastic music so this was obviously a good one for all involved. It’s hard to come up with a better live band than Two Cow Garage so if you have a chance to see it and miss them i’m sorry for you. My favorite Two Cow Garage photos are always about interaction. I’m terrible at capturing it but there’s this. This is certainly an exceptional time of year for rock music. Whether it’s the easy-going melancholy of Great Peacock or the sweat-soaked Tulsa heat brought to us by John Moreland, there’s plenty of seasonally appropriate weather to get us into summer. Through The Eyes Of A Lion is a brand new EP from a brand new band, Nashville-based Heathen Sons, and it is positively soaked in vitamin D.
From the catchy introductory rifts on “Futures”, the first track, you are brought into what might as well be the chronicle of the Fourth of July (the fun ones we have now, not the one that lead to a war). The rhythm section keeps the song moving along, and the counterpoint of guitar and vocals are perfectly self-indulgent for a drive to the beach. Do you really wanna let me in? 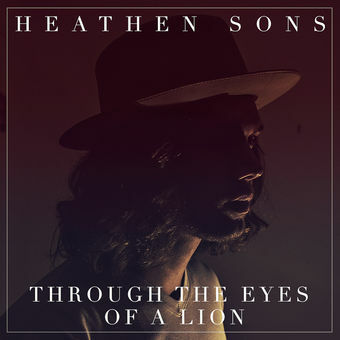 I’m ready to drive around with my windows down, drink all day with friends, then get suitably moody after the sun sets; if those things are things that appeal to you guys as well, I think Through The Eyes Of A Lion by Heathen Sons is worth a look. Like them over on Facebook, then pick up the record from iTunes or Amazon.